In modern life we don’t really think about the things we do as much as the past, but sometimes it’s good to know how things were in order to get to this point. We take a lot for granted and one thing that I never really thought about when enjoying a nice cold pint, is the glass in which my beer is served. Throughout the world there are many different accounts of when beer production began and included in this would be the way in which it was served. In modern life we are all used to the pint glass, but how did we get to the pint glass and why are there so many different variations of glass to enjoy your beverage in? 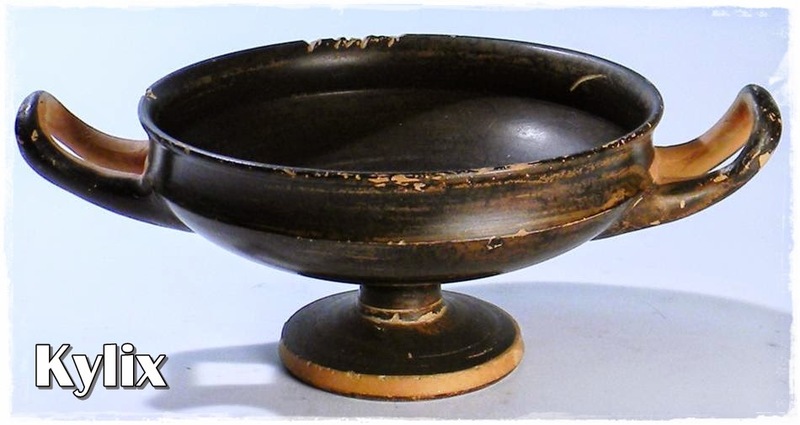 Back in ancient Greece the Greeks were renowned for drinking three main things, wine, beer and honey mead, early documenting has shown that they used to use cups known as Kylix. These were ceramic cups that would have something painted on the bottom, this could be of a humorous nature or a sexual nature, but would only reveal itself the closer the drinker got to the bottom. This ceramic cup was one of the earliest forms of “pint glass” that we know of, there were examples going back before then which would have been a similar design and material. In ancient Ireland there are documented examples of early drinking vessels being made of wood and stone. These would have been used as a way to drink any liquid but this would have included beer. 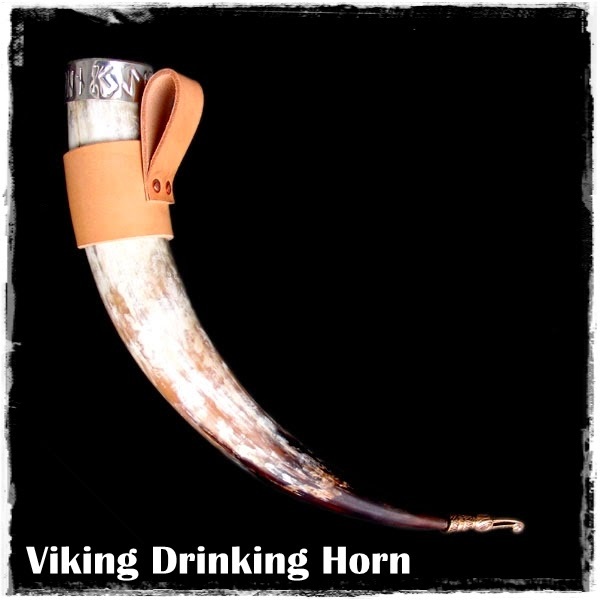 There are also examples of horns being used as drinking vessels for beer. The horn would have come from a bullock and would have been made at home. These would have been hollowed out and heavily decorated and used to drink beer from. This would also have been a popular drinking method for the Vikings. Going from ancient drinking methods to modern seems like a huge jump, however there was a defining moment when the way in which we drink beer was to change. In the past the way in which we drank beer was more about something that would hold liquid, rather than the vessel having a purpose. There was a point when drinking establishments would change from the dark, dreary places to a more bright and inviting place to go. This in turn meant that people would pay more close attention to what they were drinking and the clarity of the beer that they were consuming. One progression from the ceramic cups was the pewter tankards that were used in most pubs. This would be a handy way to serve up beer in a measurable fashion, however it got to a stage when people wanted to be able to see what they were drinking and so the pewter tankards were to be replaced with the modern glass. When glass was introduced there wasn't a call for different designs, it just had to be practical and hold a measurable amount of beer. In around 1928 the 10 sided beer glass was introduced that would be used by many drinking establishments, this particular style of glass was also used in the “Beer is Best” advertising campaign by the Brewers Society in the 1930’s. This glass would then be replaced by the dimple glass that many would attribute mild ales to be drank from. At this point there was still no real thought to why a glass was shaped in a particular way, however this was all to change. When more beer varieties came on the scene, specially designed glasses were being made for them. An example of this would be Weisse beers, these are usually served in a tall, thin glass with a ballooned top. The general idea behind this is the sediment will be left at the bottom of the glass when the beer is being drank. 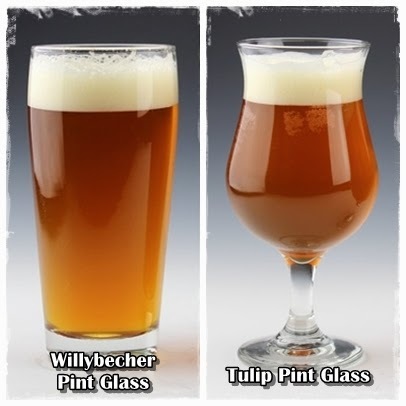 There are so many varieties of beer glass out there now here is a list of just a few. In different parts of the world different glasses also tend to be used. In Belgium there tends to be a different glass dependant on the beer in which you are drinking, some to keep in the carbonation, others to stop sediment. 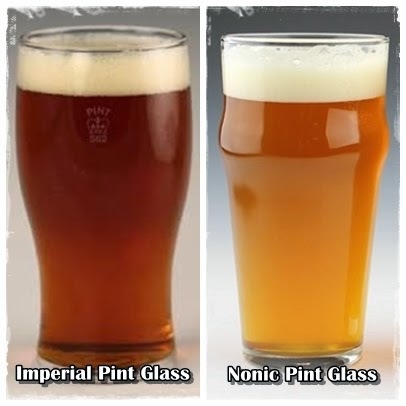 There are also other variations of glasses in other countries that are little more novel, like the beer boot of Germany and the Yard glass in the United Kingdom. There is also a need now in modern times for us to be able to get ready access to pint glasses that are made from plastic as sometimes glass is not appropriate. These are usually just a plain pint glass, however they are extremely useful and something that wasn't always available. Somewhere where you can get easy access to plastic pint cups and order in bulk would be on Viking directs website, where you can order in bulk for an upcoming event, their website is easy to use and they have a great selection on there. The link to their site can be found below, check them out if you’re in need of some plastic pint cups. From wood and ceramic, to pewter and horn, to glass and plastic, the ways in which we enjoy our beer has changed throughout time and history, however one thing is evident and that is that beer is still as popular as ever and ever growing. With more beer styles coming in and craft beer on the rise, there will sure to be an increase in the ways in which we consume our beer, bringing new technology to the way in which we enjoy it. I look forward to seeing what the future has in store for the humble pint glass.